Market Photo Workshop (Johannesburg, South Africa, 1989) was established in the final years of apartheid to make visual literacy and the craft of photography available to all races. At a time when the movement of black people was severely restricted, renowned South African photographer David Goldblatt (1930-2018) set up the Market Photo Workshop to provide photographic training and equipment to black South Africans so they could give visual expression to their experiences. In the three decades since, it has sustained its radical spirit and ideals of social justice while growing and adapting to the post-apartheid era. 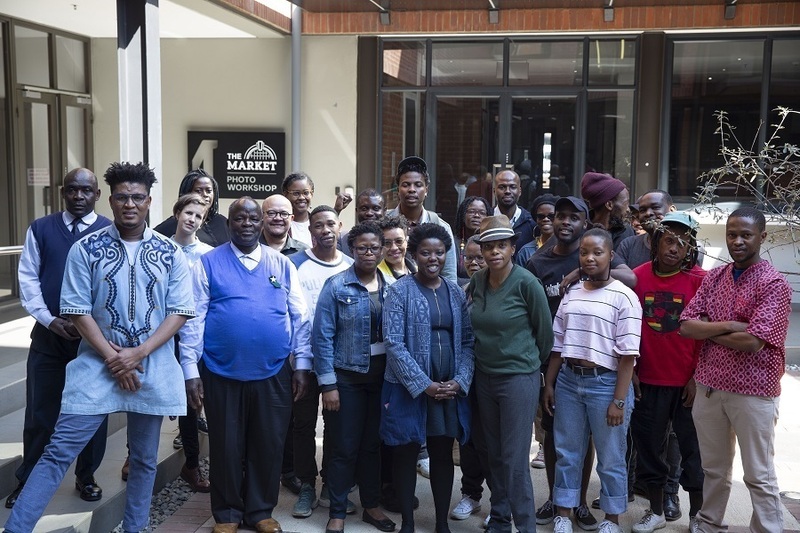 Now under the leadership of Lekgetho Makola, Market Photo Workshop is a multi-faceted training institution and cultural platform with an international reputation, drawing students from all across Africa. It mentors and supports artists in their career development and continues to instill ideals of socially committed photography. Among its many achievements are the creation of a strong local-regional network and a vast image archive of unique historical and social importance.